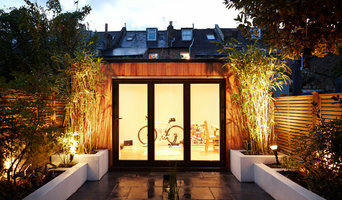 London Garden Rooms are the city space specialists who give you room to live. We’re a team of full-service design, build and landscapers, who create bespoke, modern Garden Rooms that are good enough to live in. We are the city space specialists who use the space you have to create the space you want. Based in South Woodford London, all of our work is carried out by our highly experienced, in-house teams. Our Garden Rooms are used for many things including family rooms, recording studios, annexes, gyms, home offices, Air B&B's and even a home for boomerang kids. 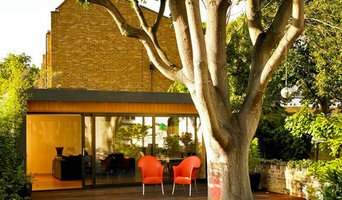 Each Garden Room is designed and bespoke to the space you have and the use you want. All our Garden Rooms are built to building regulations standard and are good enough to live in all year round. For more information and friendly advice with no obligation please get in touch today! Drop in to our Romford Showrooms! Specialising in bespoke contemporary garden buildings the company has- through organic growth- established itself as the market leader in bespoke garden studios. In addition to providing garden rooms we have applied our expertise to a variety of projects such as nurseries, eco classrooms, sports facilities and home gyms, marketing suites, commercial buildings, garden offices, holiday homes, glamping pods and pavilions. From our showroom based in London we offer our service nationwide. Make an appointment with us today to set up your first design consultation! We design and build contemporary and luxury garden buildings designed bespoke for you. If you are looking for extra space, garden rooms are an excellent solution. See our range of garden pods, studios, lodges and offices. Office In My Garden Ltd is a small independent company based in North London specialising in the construction of high quality bespoke Garden Rooms, Garden Offices and Garden Studios. We offer a complete service from design to completion using the finest materials and the latest technology and always built with care by local craftsmen. Prestige Conservatories and Orangeries offer a stunning range of bespoke garden rooms tailor made to suit your era and style of property. Whether it is for relaxation or entertaining at Prestige we can create your dream environment to enhance the character of your home. We offer unconventional wood and glass structures for your house and garden. At Vivid Green we specialise in bespoke, contemporary garden rooms using the most thermally efficient and eco-friendly building system available in the form of SIPs – Structurally Insulated Panels. Our bespoke designs can fit any space, in any garden, and offer year round comfort, low heating bills and a fantastic space for work, rest and play. 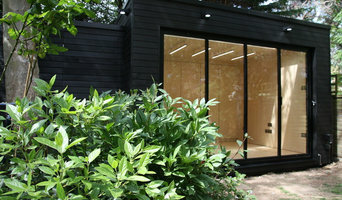 So if you’re looking for a garden room, garden office or garden studio we have the perfect solution for you! 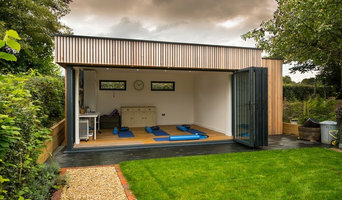 Your Garden Rooms transform unused garden areas into studios, guest rooms, playrooms, offices and workspace. A garden room is the most cost effective, quick, hassle-free way to add space and value to your home. YourGardenRoom will be ready to use in under three weeks. built to fit precisely in the space available, we can incorporate any features you want, from under floor heating to en-suite bathroom. We operate predominantly in the london area, and our garden room design and method of build particularly suit urban gardens where garden shape and size demand that we use all of the space available. Transform how you enjoy your living space with a Garden room, designed and finished to your specification, by YourGardenRoom. ALFRESCO LIVING specialises in the supply and installation of premium outdoor products that enable you to enjoy your garden, terrace or patio all year round and in all weathers. Based in Hertfordshire we install our solutions across the Home Counties, London and the surround. Our collection of innovative solutions includes Bioclimatic Pergolas, Verandas, Glass Rooms, Canopies, Carports and Awnings. After noticing a lack of building companies providing a friendly, straightforward and competitive service, Ben founded the company in 2007. . The company has grown from strength to strength, but remains a family business, focused on excellent customer service, competitive pricing and fundamentally, high quality building work. . We offer a complete service for conservatory installations, groundwork, brickwork, frame installation and internal finishes. Alternatively, if you have a company already supplying and fitting the frames we can offer a base only option which includes the foundations, brickwork and internal floor finishes. . Feel free to contact us via our phone, website or various social media pages. Building a conservatory, sunroom or orangery can be quite a substantial project, so it’s a good idea to hire a professional designer or specialist conservatory builders in Grange Hill, Essex who have a lot of experience with conservatory installation or constructing bespoke glass extensions. Although the advantage is that with a conservatory planning permission isn’t always needed. With Houzz you’ll be able to see examples of pros’ previous conservatory or orangery designs, so you can determine which Grange Hill, Essex conservatory specialists will be best suited to your project. You can easily find contact details on the professionals’ profile pages and then you’ll be able to receive conservatory costs and quotes for construction or installation. How should I plan my Grange Hill, Essex conservatory, sunroom or orangery project? You will first want to determine how much outdoor space you have available to build your conservatory and then what you’d like the dimensions to be. Conservatory planning permission is not needed if your extension meets the government’s guidelines on conservatory projects, so it is best to check these before deciding on the size and style of your new conservatory installation – professional conservatory builders in Grange Hill, Essex will be able to help you with this, too. If your Grange Hill, Essex house is within a designated area (including national parks and conservation sites) then there are further restrictions which could affect your choice of conservatory materials and styles. Once you have determined the dimensions and have an idea on what conservatory styles and materials will be feasible, then you can begin to find your ideal Grange Hill, Essex conservatory designer by browsing the designs, photos and reviews on Houzz. You can look through their portfolios, see previous projects, ask questions, find out their average conservatory cost, look at their own website and contact them directly to discuss your sunroom, orangery or conservatory installation. 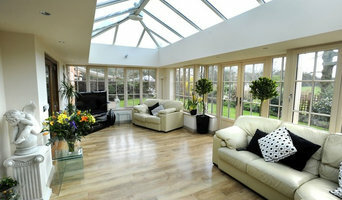 What should I ask a prospective sunroom specialist or conservatory builders in Grange Hill, Essex? Find a conservatory, sunroom or orangery designer on Houzz. Narrow your search in the Professionals section of the website to Grange Hill, Essex conservatory, sunroom and orangery designer. You can also look through Grange Hill photos to find a conservatory, sunroom or orangery that you like, then contact the designers or conservatory builders in Grange Hill, Essex who worked on it.